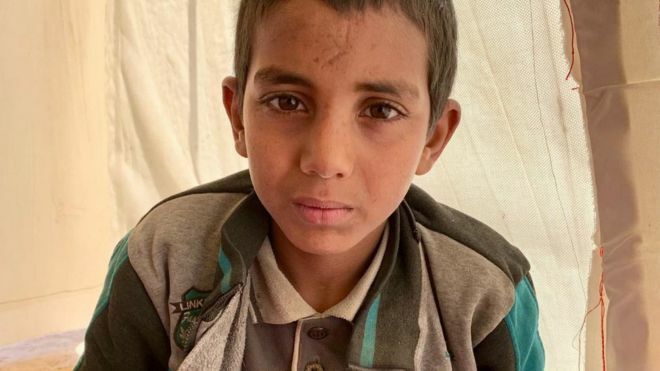 Children like Hamza Jasim al Ali are among the inhabitants who supported the Islamic State in their last domain space. The president of the United States, Donald Trump, says that the self-styled Islamic State lost 100% of its territory, although the Syrian Democratic Forces maintain that the total victory is not yet declared. 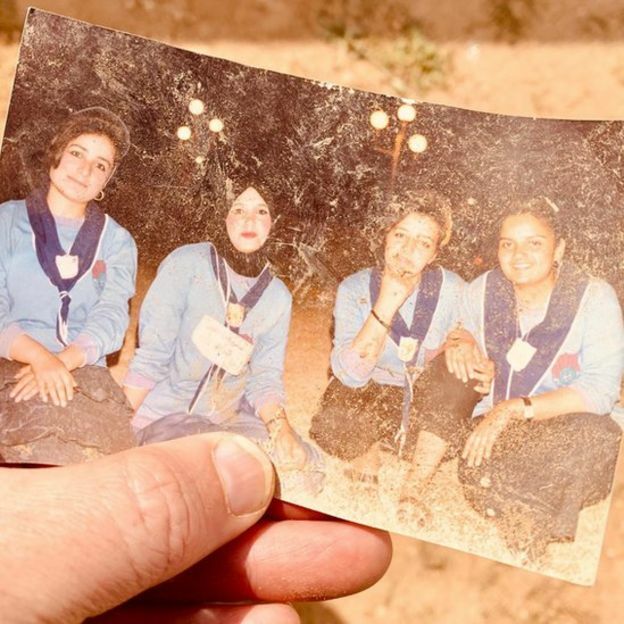 As the battle nears its end, Quentin Sommerville, an international journalist was found with some of those who lived in the last bastion of the group militant Baghuz. We have extracted some interesting stories from his writer-up from his recent BBC publication. The world of Hamza Jasim al Ali is small and terrible. The boy does not know much about the world, he has always lived on the same stretch of land about 40 km on the banks of the Euphrates River. His journey, still endless, took him from Al-Qa’im in Iraq, across the Syrian border into the dark center of what was the nightmarish caliphate of the self – styled Islamic State (IS) group. Hamza has seen more deaths than any 12-year-old could see. Now he is far from his river, sitting on the desert floor in a tent hit by the wind, next to an old woman he barely knows. His leg is broken, but he is healing, and he smiles while I ask him questions. 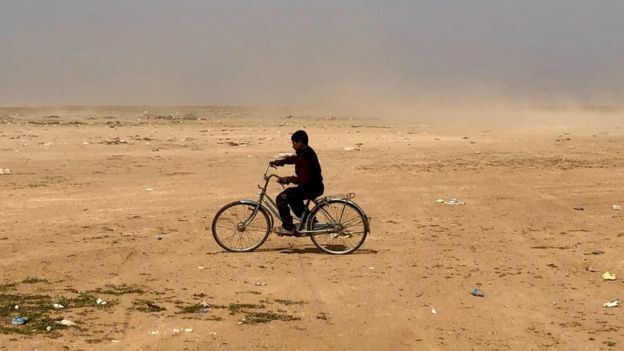 What was life like in the territory of the Islamic State? “It was good,” he says, smiling again. “Little food or water and many battles . There were very heavy fighting“. 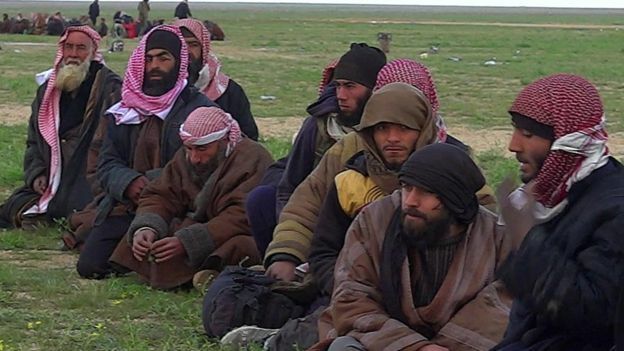 Image caption Women and children of ISIS are now going to refugee camps. Do you still like Islamic State? “No. How could I like it after all they have done? ” He says. Hamza is an orphan from ISIS. His father joined the group and took the whole family with him. 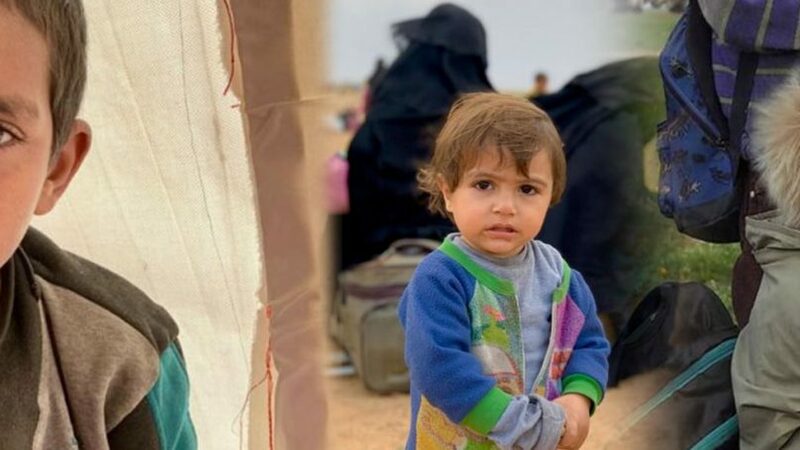 He died five months ago, along with Hamza’s mother and her brothers and sisters in an air strike that was part of the battle to drive the group out of its last domain in Syrian territory. The victims of ISIS are millions : they displaced and terrorized people throughout Iraq, Syria and Libya. Coalition forces are preparing for the final assault on the Baghuz stronghold. His treatment of the Yazidis was genocidal, according to the United Nations. But they also mistreated and corrupted not only their enemies, but also their own children. As part of a ceasefire agreement, more than 6,000 women and children have left the territory of ISIS, along with injured combatants. The dreams of the Islamic State group of an expanding caliphate have been reduced to a tiny camp around the village of Baghuz . Nothing else out of there is the desert, where thousands of those who leave the territory are processed. There the air is sour and dirty, so many are sick. They make their needs out in the open. 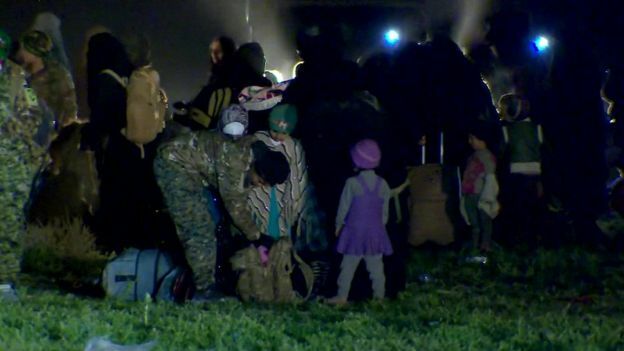 Image caption Support groups say that thousands have left the last bastion of IS in Syria. Most then move to an internment camp near the town of Hassaka, in the village of Al-Hawl. 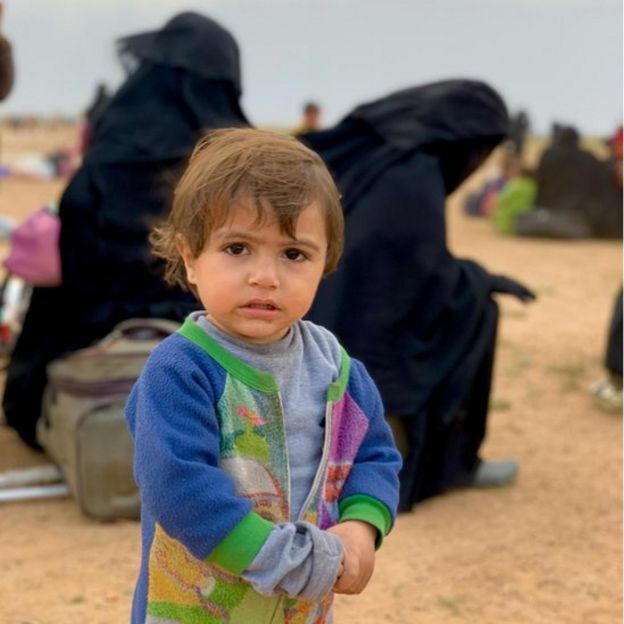 While Hamza and I speak, there is a moment of calm on the outside: the refugees from ISIS have not yet arrived, and those from the previous night have been mounted on cattle trucks for the long journey through the desert roads to Al -Hawl. They are registered individually by female Kurdish fighters, but it is not known if they are fingerprinted or photographed. Photos of injured men and other biometric data are taken before being sent to detention. Image caption Many fled with suitcases that have the last belongings they had left. But there are limits to the investigations that can be carried out on the crimes of which there are suspicions. It is not clear how long the Kurdish authorities will be able to retain them. Some of the men said they expected to be released within a few months. One man, who said he was from Aleppo, told me at the edge of the processing area: ” I will comply with the supposed detention time and then I will go live with my parents and leave everything behind, I will go live with my mother. best”. Image caption Wounded combatants left the territory that is left to ISIS and face detention sentences that are not yet clear. Another, Abu Bakr al Ansari, showed little repentance. Both were taken under Kurdish detention. On the other side of the desert plain, I find discarded belongings: mobile phones that have been smashed or burned in bonfires, USB drives split in two. There are also photographs on the floor: one of four girls from a group of boy scouts and another from a girl with a headscarf. Was one of them on the way to Al-Hawl’s camp? 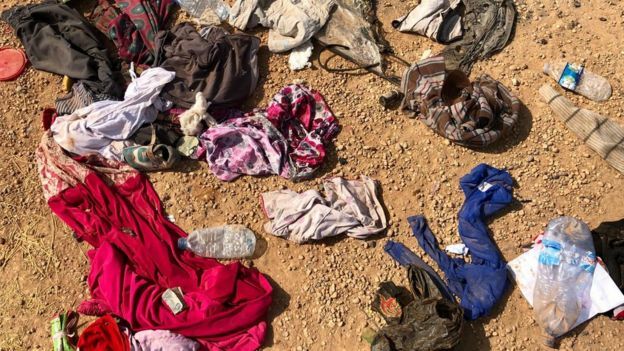 Image caption Some personal objects of those who lived under the control of ISIS can be found in the desert. In the midst of dirty diapers and empty food cans, there is a family ration card. It belongs to a family in Kosovo. The father had a prominent position within ISIS. But that is another story. Many of the women who left do not do so because they wanted to, but because they were ordered to do so. Many still wore their husbands’ worn military backpacks. It seems they want their enemies, the Kurds and the Western coalition, to have little idea of ​​who they are. I met women from Turkey, Iraq, Chechnya, Russia and Dagestan . Some expected to meet their husbands who are still inside Baghuz, waiting for the final battle. 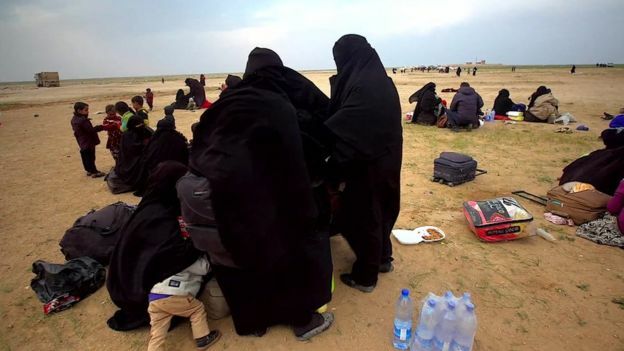 Image caption Wives of those still in Baghuz try to go unnoticed. Umm Yousef is a Tunisian-Canadian woman with a nicab with spots and lenses with purple frames. Her husband, a Moroccan, was murdered, but he may have married another man who was still inside. 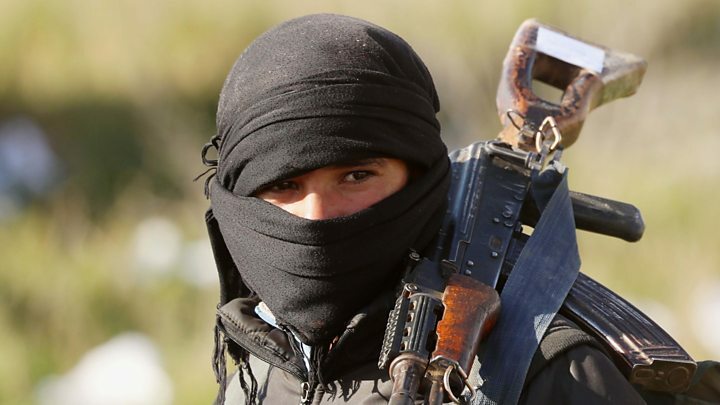 He assures that he does not regret anything and that he had learned a lot from ISIS. Britain and other coalition countries pressurize the Kurds to keep the former IS members locked up. But after the misery that the extremists brought here, the Kurds want them to leave. In the evening more women arrived. Some of his children cried, but others remained silent and quiet, numbed by everything around them. Image caption What to do with foreign fighters and their children has sparked a great international debate. When they were asked a question, by the light of the television cameras, they turned their dusty faces to the ground and said nothing. A group that showed almost no mercy, now pleads for her. An Iraqi woman, standing in the dark, along with 200 other women and children, questions me. “Do not you see the children here before you? Can not you feel their pain? The pain of the old people and the women who were destroyed by the bombs? The children who died in air attacks? You are human. human. Do not you feel my pain, my brother? “he says. At the edge of the crowd, there is a medical station, run by a charity, the Free Burma Rangers. Paul Brady, Californian, is one of his doctors. He says the injuries have changed as more people have come from ISIS. “About 10 days ago we saw a few with what looked like bullet wounds,” he told me. Image caption A woman dares to talk about the situation that ISIS generated. “They said they were shot because they were escaping, but now we have not seen so many, it seems that most of these injuries are a little older, mainly from air strikes and mortars,” he said. The flow of people will eventually be over, and then the final battle for Baghuz is expected. Those we spoke with in the desert said there were still thousands of fighters inside. Image caption Only some children are entertained with the things that are in the desert, like a bicycle. Hamza was injured five weeks ago when he stepped on a land mine, but says his broken leg is much better now. There is no clear answer. And I could not tell him that Iraq can not take him back. They would probably take him to the field of Al-Hawl, like everyone else. I left him something to drink, some chocolates and bananas, under the care of the doctors and the Kurdish forces. When I returned to the desert the next day, he had left, his place on the ground was occupied by more sick and injured of the self-styled caliphate.